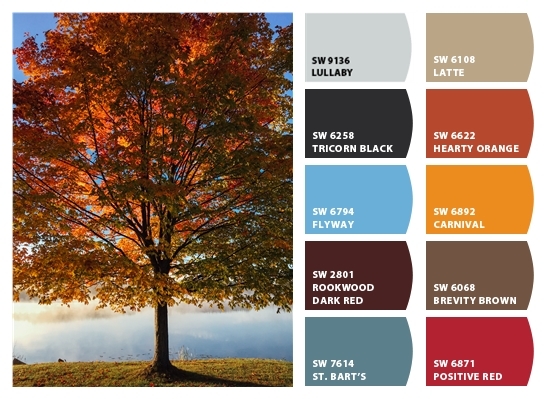 When autumn descends, temperatures cool, but the colors around us heat up. 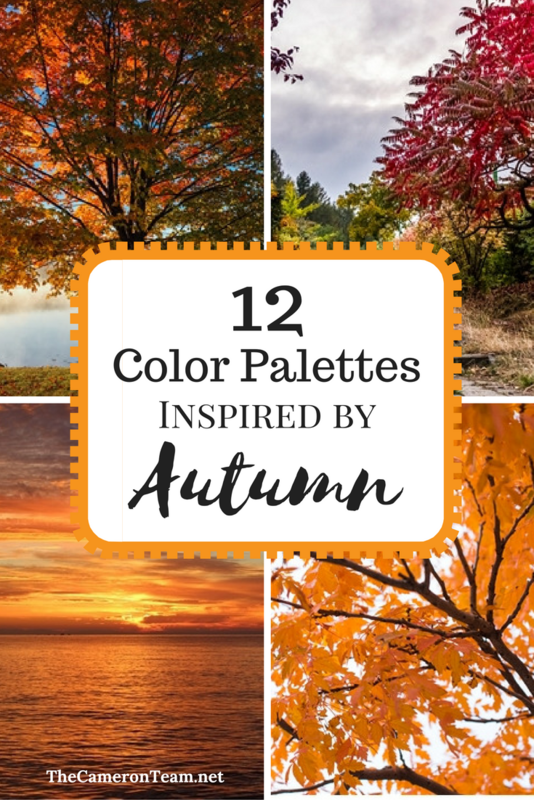 That’s why fall is a great time of year to draw inspiration for a warm color palette – envy inducing golds, reds, coppers, and oranges, even rich mahoganies. 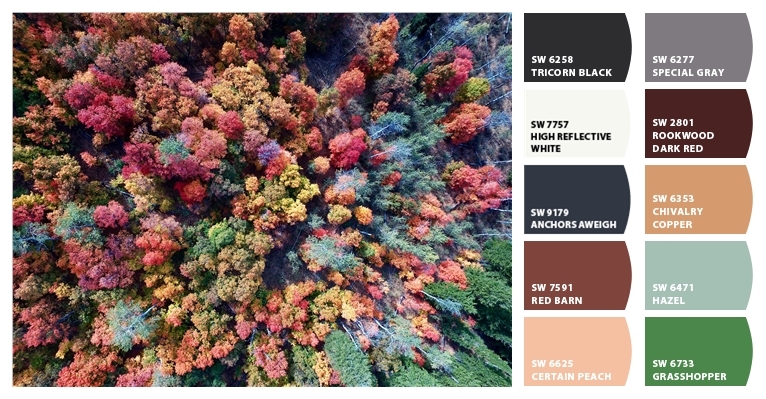 If you’re looking for inspiration for your next room makeover or furniture refurb, we’ve compiled a collection of 12 color palettes inspired by some our favorite features of fall. 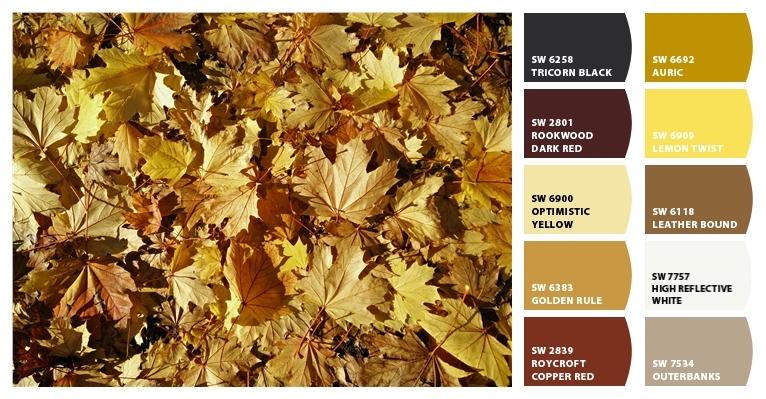 Have you found a good autumn-inspired color palette? We welcome you to share it in the comments! P.S. 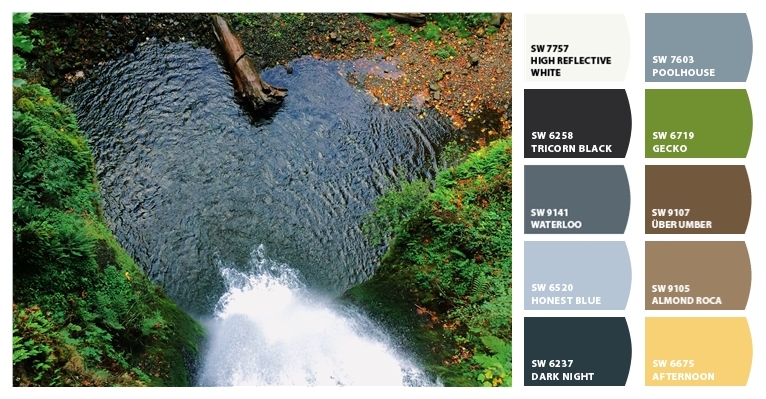 All of the colors here are courtesy of Sherwin-Williams. 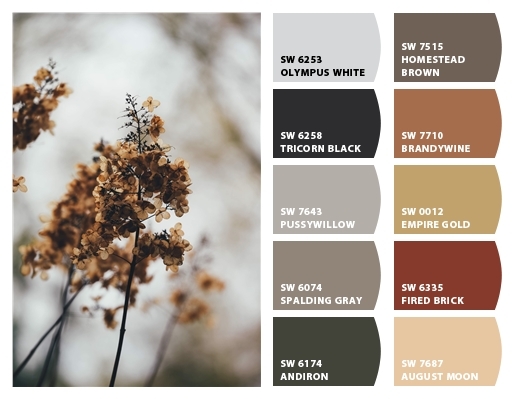 You too can create a personal color palette using ColorSnap.